African Americans, Hispanics and those who receive care at a community hospital are all significantly less likely than other patients to receive treatment for early stage non-small cell lung cancer, according to a report in the Journal of Thoracic Oncology. 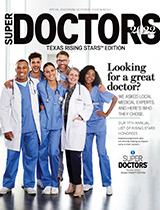 "We found significant disparities for treatment of a curable cancer based on race, insurance status and whether or not treatment was at an academic or community hospital," said Dr. Matthew Koshy, a physician in the department of radiation oncology at the University of Illinois at Chicago College of Medicine, and lead author of the study. "Reducing these disparities could lead to significant improvements in survival for many people with inoperable early stage lung cancer." Koshy and his colleagues wanted to know if any factors predicted whether a patient was more likely to be observed, treated with conventional radiation or treated with SBRT - and if there were any disparities in the use of those treatments. The analysis showed that African Americans were 40 percent less likely, and Hispanics 60 percent less likely, to be treated with radiation - either conventional radiation or SBRT. Of patients who did receive radiation, African Americans and those with no insurance were less likely to receive SBRT.